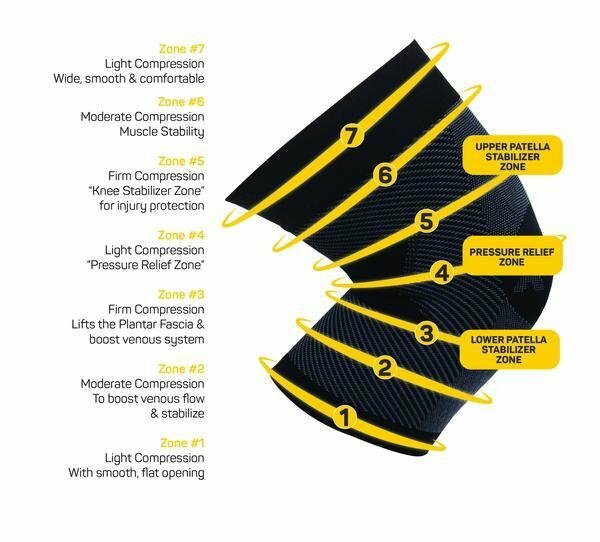 The KS7® Performance Knee Sleeve powered by Compression Zone Technology®, with gel stabilizers fully embrace the knee and patella in seven zones of graduated compression. KS7® is specifically designed to improve circulation while bracing the structure of the joint and supporting the patella from above and below, relieving pressure on the patellar tendon. 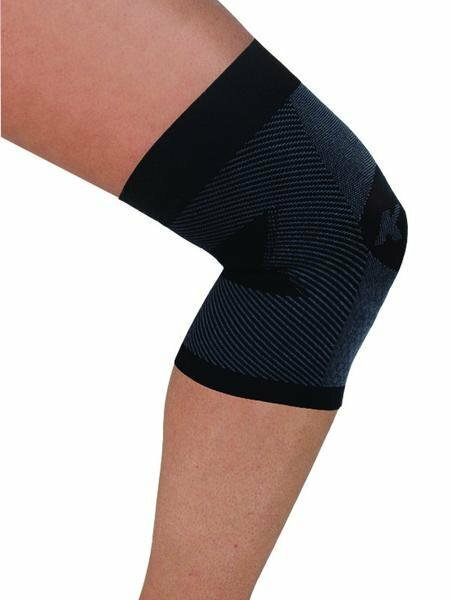 Targeting runner's knee, jumper's knee, and the frustration of chronic knee pain, this thin but powerful bracing sleeve can offer the same benefits as bulkier braces and be worn under active wear or any clothing. The race-tested KS7®Performance Knee Sleeve offers all-over knee support for better performance during any activity or sport while comfortably staying in place. Marathon Tested! !